The second of two Dutch apple pie recipes in this box. The first is here, and calls for canned apples. Place 3 c. peeled sliced apples in 9″ unbaked shell. Mix well and pour over apples. Sprinkle with 1/2 c. nuts and dot with butter. Bake at 375 deg. for 45-50 min. 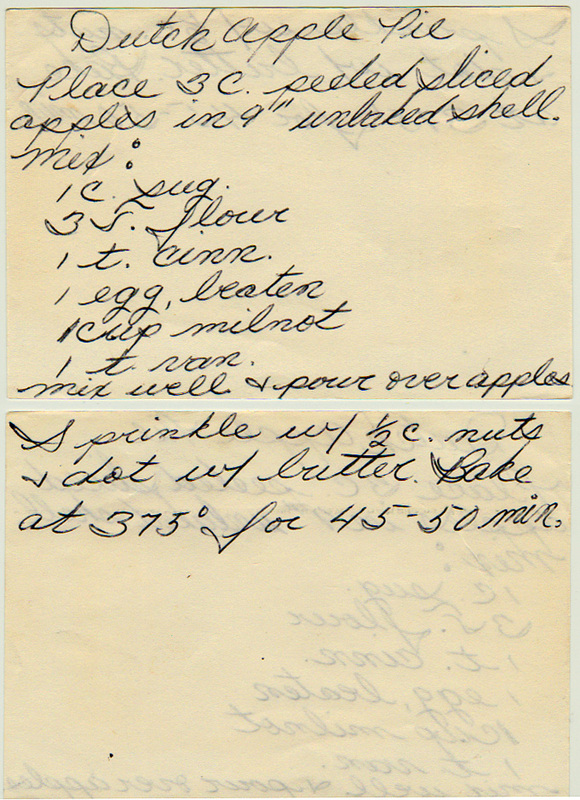 One of two recipes for Dutch apple pie in this box. The second is here, and calls for fresh apples. A brand of evaporated filled milk. You can substitute regular evaporated milk if you can't find it.